ABC News' Mara Schiavocampo spends 23 hours inside a metabolic chamber at Mt. Sinai St. Luke’s Hospital in New York City. That's why -- it's time to go inside the metabolic chamber. Mara schiavocampo has been in one here in New York City for nearly 24 hours to learn more about the best way to eat and antioxidants and we'll hear from her in a moment. She has to stay in there until 9:00 but let's take a look at her experience so far. Reporter: It's the locked room unlocking limitless information about how our bodies work. The metabolic chamber at mount sinai St. Luke's hospital in new York can tell you how your body is burning calories and when. More accurate than a heart rate monitor an activity tracker or piece of gym equipment. People want to know exactly how much calorie I burn. Reporter: There's just one thing. It's a 24-hour metabolic test which means a full day inside this sealed chamber. I'm ready. Yeah. Let's do it. See you in 23 hours and 15 minutes. And 15 minute, yes, okay. Good luck. Bye. Chambers like this have been around for decades but exclusively used by scientists now being made to the public for the first time in the united States for a fee of $1500. With the aim of giving everyday people information about how to manage their weight and exercise plans. I tested it out 24 hours in this 9x11 room equipped with a small desk, treadmill and mini fridge just feet from the toilet. I can't crack the door. I can't do anything. I'm stuck in here for the next day. I've been here now more than 20 hours. Good morning. No direct contact with any people. Necessities passed through a vacuum sealed window. My dinner. Mandatory exercise. And sleeping on a few ton with cameras shooting every second. This is how I can get a little bit of privacy. Here's how it works. The room measures oxygen consumption and carbon dioxide production calculating how many calories you're burning during all of your activities including sleeping and exercising. Even telling you how many calories you burn after a workout. And whether you're burning carbohydrates or fat to figure out the ideal fit formula for your body. Well, you know, the hardest part of all this I was bored and a little bit lonely but you come in knowing that you're going to be here for awhile. Kind of like going on a long flight so I was prepared and had books afternoon wi-fi and was able to stay connected. The hardest part after the boredom and loneliness was all the exercise. I had to do three workouts so my body could be measured to see how it responds to that so I'm exhausted, guys. Looking good. She can't hear me but she is going to get those results and she's going to share that with us in the coming week. Dori arad is the director of the metabolic clinic. Tell us more about the chamber. Thank you for having me. The metabolic chamber is the size of a small studio apartment in New York City and measures your metabolic profile for 24 hour, how much energy you burn when you sleep, talk, eat. What do you do with this. People are obsessed about how much energy they burn when they do a workout in the gym or follow a specific diet. This is an exact science and gives you exactly how much energy you burn and therefore how much energy you need to eat. Well, you know, there's some people -- some critics have say, you know what, eating well and getting your rest and doing the things you've been taught to do is better than something like this. How do you respond. They haven't used the chamber. But, you know, how much energy, how many exercise you need to do. How much diet. How many calories you need to eat. People usually overestimate how much energy they burn and underestimate how much energy they take in so this chamber can provide you for 24 hours exactly how much energy you burn. Anybody can do this? Anybody can. How much? So, it's not a cheap test. Shocking. Not cheap. Okay. People use calculation, they use devices, people are walking all over and get a estimation. The chamber is exact science and it's a little pricey. Okay. Well, we'll be revealing Mara's results later this month because it takes some time to get all the d'etat together. Yeah. We'll see if she's going to make some changes. Thank you very much. 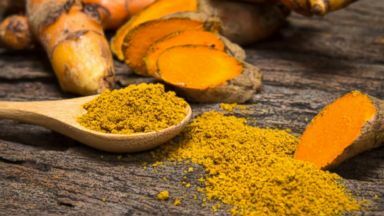 Health advocates weigh in on reported anti-inflammation benefits of turmeric and ways to use the spice in your diet. 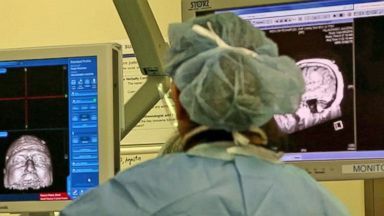 ABC News' Dr. Jennifer Ashton reports the latest health news.